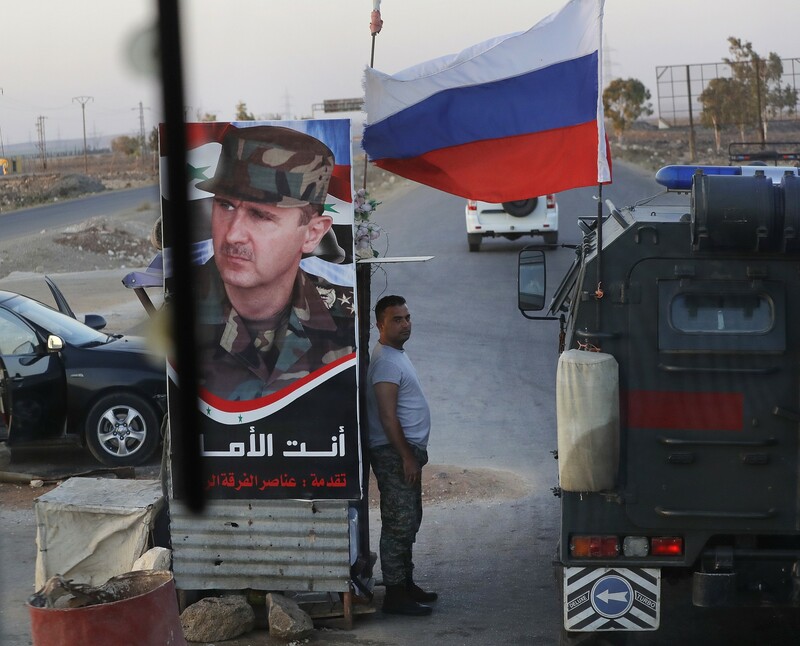 Syria vehemently pushed back Thursday after Russian president Vladimir Putin said that Damascus had aided in the search and recovery of remains of an Israeli serviceman lost in a 1982 battle and buried in Jerusalem Thursday. The body of tank commander Zachary Baumel, presumably killed in the First Lebanon War’s Battle of Sultan Yacoub almost 37 years ago, was brought from Syria to Israel with Russian help earlier this week, according to Israeli and Russian leaders. “Syria has no clue about the Israeli soldier’s remains,” read a statement released by Syria on the state-run SANA news agency Thursday. It said that “what has happened is new evidence confirming cooperation between terrorist groups” and Israeli intelligence. 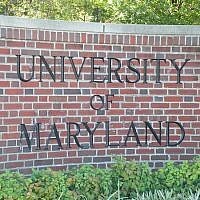 “There is not any information about the whole matter and whether there are remains or not,” the statement said. 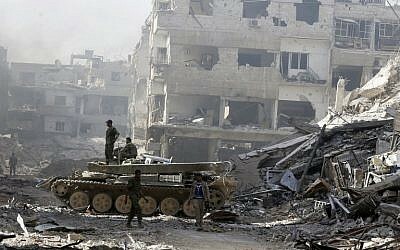 A Syria-based official with Palestinian terror group Popular Front for the Liberation of Palestine — General Command, said Wednesday that insurgents who were in control of the Palestinian refugee camp of Yarmouk in Damascus up until last year excavated graves in search of the remains of the three missing soldiers. The group has made a similar claim in the past. The Russian defense ministry presented Israel with Sgt. 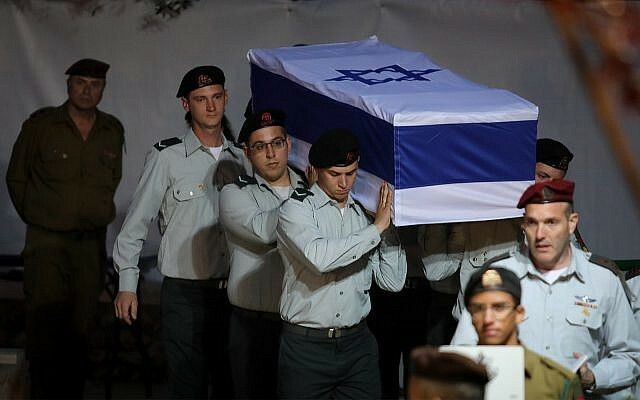 First-Class Baumel’s jumpsuit and military boots in an Israeli flag-covered coffin in a ceremony later in the day. 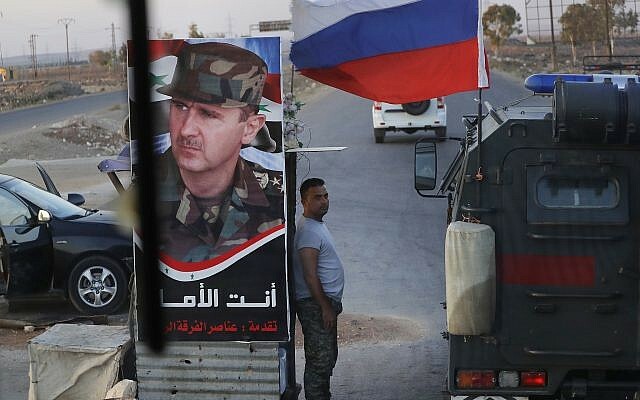 Putin is a key backer of Syrian dictator Bashar Assad, helping him quash a massive civil war over the last several years, and has also maintained mostly positive ties with Israel. In 2016, Moscow gave Israel a tank which had been captured during the same June 11, 1982 battle between Israeli and Syrian forces near the Lebanese border town of Sultan Yacoub. Israel said 21 soldiers were killed and five were captured, including two later returned alive. 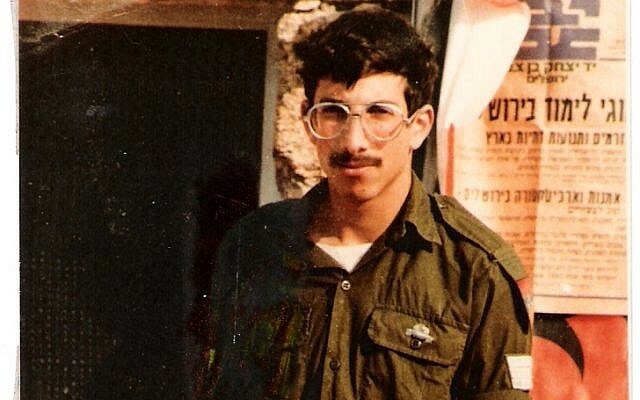 Tank commander Baumel, a Brooklyn-born immigrant, was one of three Israeli soldiers whose bodies were never recovered following the skirmish. 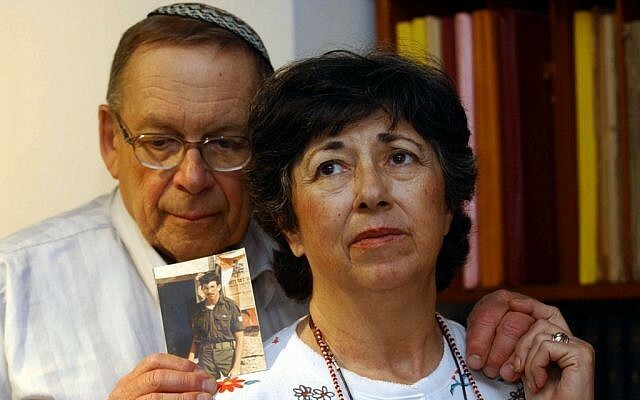 Though Baumel and the other two soldiers — Zvi Feldman and Yehuda Katz — were generally believed to have been killed in the battle, there was also speculation and reports that they were captured by the Syrian military in Sultan Yacoub and brought to Damascus. Feldman and Katz remain officially listed as missing in action, though they are also presumed killed. During the press conference, Netanyahu thanked Putin, saying Russian soldiers had “risked their lives” in order to bring back the remains. “Two years ago, I asked you to help us find the bodies of missing Israeli soldiers, and you responded in the affirmative. 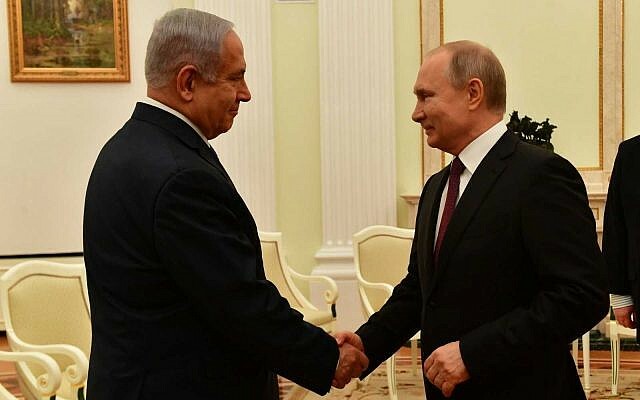 I want to thank you, my friend, for what you have done,” Netanyahu told Putin. In September, the Russian defense ministry said one of its soldiers had been injured in the operation. “Terrorists suddenly attacked the Russian servicemen involved in the operation. One Russian officer was wounded. Despite that, Russia was willing to carry on with the operation,” Russian defense ministry spokesman Maj. Gen. Igor Konashenkov said. 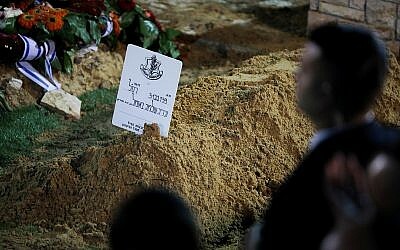 Baumel was buried in an emotional ceremony Thursday evening at Jerusalem’s Mount Herzl military cemetery. A senior diplomatic official, who asked not to be named, said the operation was evidence of the “special” connection between Jerusalem and Moscow, and that Russia’s help would not have a “diplomatic price tag” linked to the situation in Syria. The decision to release the information about the operation to the media will not impede the search for the remaining two soldiers, the official said. Yona Baumel, Zachary’s father, died 10 years ago; his mother Miriam is 90. Netanyahu told a press conference on Wednesday that Baumel’s remains were recovered along with his tzitzit ritual fringes, and tank jumpsuit. Baumel’s body was reportedly returned together with the remains of at least 10 other unidentified people. Medical examiners at the Abu Kabir Forensic Institute have reportedly examined most of the other bodies brought back, and have concluded that none of them were Feldman or Katz. 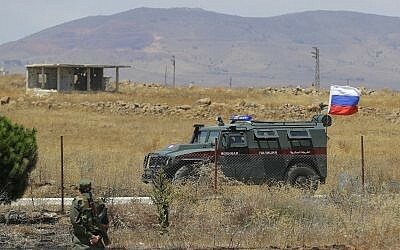 A Channel 13 report said one body had yet to be ruled out as either of the two Israeli soldiers.